Brittany was born and raised in the Mankato area. She graduated from Lake Crystal Wellcome Memorial High School and continued on to receive her Bachelor of Science Degree in Social Work from Minnesota State University, Mankato. 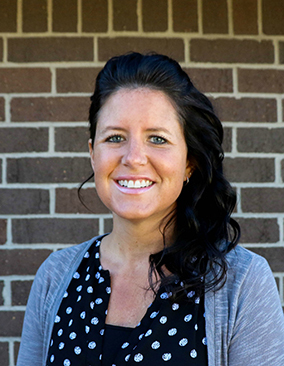 In 2013, Brittany completed the Greater Mankato Leadership Program. In 2003, Brittany started working for the Harry Meyering as a Direct Support Professional. In 2009, she transitioned to a Supportive Living Services coordinator and then in 2011, she moved on to become a Program Manager in the Supportive Living Services program. Brittany is a self-motivated person who is patient, friendly and encouraging. Brittany is very conscientious about her quality of work and demonstrates a strong work ethic. What she cherishes most about her work is the relationships she has built with the individuals served, co-workers and team members. Most of her free time is spent with her husband and daughter working on home projects, landscaping, gardening, going for walks with their two German Shepherds, tending to their chickens, camping, swimming or watching movies.